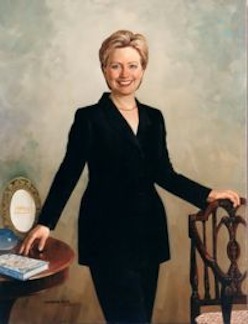 Brian Williams, Hillary Rodham Clinton: Sharper images coming soon. 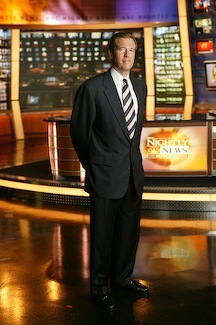 ***Engaged in a fierce battle for ratings supremacy, the NBC Nightly News with Brian Williams will be the first network evening newscast to go high-def. The switch happens on March 26, NBC announced Tuesday. On the same day, the latest Nielsen ratings showed ABC's World News with Charles Gibson nipping Nightly News in total viewers for the fourth time in six weeks. But Williams narrowly won among 25-to-54-year-olds, the main advertiser target audience for news programming. Katie Couric's CBS Evening News remains well behind both NBC and ABC. Maybe they'd like to try 3-D? ***Hillary Rodham Clinton's presidential campaign will motor to ABC's Good Morning America on the same day Williams is set to look sharper. The show's co-host, Robin Roberts, will moderate a March 26 "GMA Town Hall" in Des Moines, Iowa, with Mrs. Clinton fielding questions on mostly health issues. At least that's the plan. The show also has extended invitations to other major Democratic and Republican presidential candidates, including Barack Obama, John Edwards, Rudolph Giuliani, John McCain and Mitt Romney. ***Nielsen Media Research says the average U.S. home now received a record 104.2 TV channels, up from 96.4 a year ago and a measly 18.8 in 1985. Still, a typical home only tunes to 15.1 percent of those 104.2 channels for at least 10 minutes per week. ***Go to the head of the class if you know the only new series to rank in prime-time's season-to-date Top 10 this season. It's Fox's Are You Smarter Than a 5th Grader?, currently in the No. 7 spot with an average of 19 million viewers an episode. Those numbers will settle down now that 5th Grader is fending for itself on Thursday nights without a bounteous American Idol lead-in. Still, the first Thursday night stand-alone ranked 12th in last week's ratings, one rung ahead of ABC's Lost.